With this, the Arvind Kejriwal-led party has declared the names of candidates for 20 assembly seats out of the total 182 in the state, where elections will be held in two phases on December 9 and 14. AHMEDABAD: The Aam Aadmi Party (AAP) today released its second list of candidates for nine assembly constituencies for the upcoming Gujarat elections, nearly a month after announcing its nominees for 11 seats. The results will be out on December 18. As per the second list, the AAP has decided to contest from Gandhinagar (North), Botad, Katargam, Rajkot (East), Surat (East), Karanj, Palanpur, Gandhidham and Jamnagar Rural), party spokesperson Harshil Nayak said. Three of these seats -- Rajkot (East), Palanpur, and Jamnagar (Rural) -- are currently being held by Congress MLAs, while the remaining six are with the BJP. The candidates finalised to contest from these seats are Gunvant Patel (Gandhinagar-North), Jilubhai Bavaliya (Botad), Nagajibhai Ambaliya (Katargam), Ajit Lokhil (Rajkot- East), Salim Multani (Surat-East), Jignesh Mehta (Karanj), Ramesh Nabhani (Palanpur), Govind Danicha (Gandhidham) and Paresh Bhanderi (Jamnagar-Rural). The AAP has also replaced its candidate, declared in the first list, for the Bapunagar constituency after receiving complaints against him, Nayak said. Anil Verma, who was the party's candidate from Bapunagar, has been replaced by Amjad Pathan, he said. As per the list, the candidates come from varied backgrounds include businessmen, educators, social workers, a former corporator, lawyer and an academician. 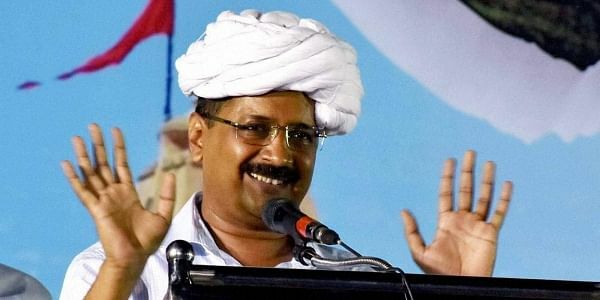 The 11 seats that the AAP had earlier announced to contest are Bapunagar, Unjha, Rajkot (West), Danilimda, Lathi, Chhota Udepur, Padra, Karjan, Pardi, Gondal and Kamrej. The party has said more candidates may be declared in the coming days even though it may not be contesting on all the 182 seats.